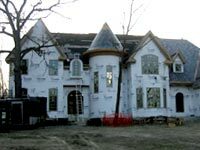 The original company J&Z Highlander's Construction is specializing in home carpentry as well as exterior and interior masonry. Extraordinary quality and care goes into every project we do. Take a look at the expertise that is fueling other builders to choose us for the framing and masonry work of their spec and custom homes. Feel free to contact us for more information.